FenFast is the latest advancement in diet pill formulas. It combines some of the top diet pill ingredients and formulas and combines them, to make a new revolutionary weight loss medication. Fenfast has similar ingredients as phentermine 37.5mg, Adipex, and Adipex-P, without all the risks and side effects. Also, unlike Adipex and it’s other similar brands, there is no risk of dependency or addiction. What is Fenfast made from? Similar ingredients to the leading competitors, but in a more revised, minimal risk formula. For people who cannot lose weight with just diet and exercise alone, Fenfast is a friendly compliment to most diet and exercise regimens. You should always check with a doctor or physician before starting any new diet, exercise, or medication programs. A lower calorie daily intake around 1200 calories is best. Do not go under 1000 calories a day unless recommended by your doctor, this is dangerous and will slow your metabolic rate. A Fenfast breakfast should be the biggest meal of the day, somewhere around 400-500 calories. It should include all the basic nutrient groups, protein, carbohydrates, healthy fats, and vitamin c and vitamin d.
Stay within 500 calories for breakfast, eat within an hour of waking, and have an 8oz glass of water. Do not drink your calories. Fenfast lunch should have a greater amount of protein and have a good amount of fiber, and a little less carbohydrates. Make sure your lunch stays within 300 calories, and protein shakes can be a on the go substitute. Fenfast snacks are meant to hold you over until dinner time. They should stay within 100 calories. This could be the time you want to have something a little less healthy and fresh as long as it is within 100 calories. There are plenty of 100-calorie snack packets on the market, designed for savory snacking to help you stick to your diet without going overboard. And to make snack time that much more satisfying, make sure to grab 8 oz of water and drink every time you take a bite. It will help you savor and it will help fill you. 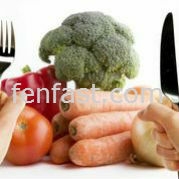 A Fenfast dinner is to be eaten before 7 p.m., consisting of 300 calories, and very minimal carbohydrates. Dinner should be mainly protein and vitamins. A Fenfast friendly diet can consist of almost anything that’s fresh and natural. The focus is to minimize or cut out processed foods. It is meant to be lower in calories to help you stay full and energized without over eating and feeling fatigued. 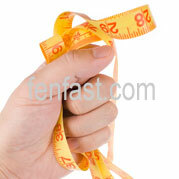 Like any diet the Fenfast friendly diet is supposed to be used with a healthy exercise regimen. Cardiovascular workouts 3-4 times a week and mild strength training is recommended. If you are thinking about starting to lose weight, but are not quite sure how or where to begin, there are ways that you can make this goal easy to achieve. Usually, all you require are a few simple tips that will point you in the right direction. Here are some practical suggestions you can put to good use that will help start you on the road to success. Why do you want to lose weight? It’s important that you ask yourself this question and are able to answer it before starting to lose weight. Regardless if your motives are to improve your health, your self-image, or any other reason, knowing what inspires you to reduce your weight is important for your overall success. Set a weight loss goal. Once you know why you want to shed your pounds, you then need to decide how much you want to lose. It’s essential that you have a goal. It will help to give your challenge purpose and keep you motivated. It’s vital that your first goal when you are starting to lose weight is very achievable. For instance, begin by losing 5 or 10 pounds. If you want to lose more, continue to set small goals that you know you can accomplish until you have reached the desired weight you would like to maintain. Establish a weight management program that works for your body and lifestyle. While you may be thinking about taking diet pills to help you in your efforts to achieve a trimmer figure, it takes more than pills to lose fat. Starting to lose weight is also a matter of starting a new diet consisting of healthier foods and smaller portions, as well as a daily exercise routine. It’s always in your best interest to talk to your doctor about your plans and goals, as he or she can provide you with advice and recommendations on how you can build a program that is both safe and manageable. Start immediately. Don’t plan a date to start your weight loss program. Find out what you need in order to begin losing weight today and get the ball rolling. You are less likely to initiate any fat loss diet and stick to it if you continually put it off. Be good to yourself. Reducing your weight should be a positive experience. Although you will have to be mindful of what you consume, giving yourself a little treat every so often will help keep you happy. Other ways to stay positive everyday include obtaining proper rest, enjoying favorite activities, and de-stressing. Always remember, starting to lose weight is the start of a lifestyle change. If you want to effectively manage your weight, you need to be consistent and maintain the new habits you develop. Why Take Energy Boosting Diet Pills First Thing in the Morning? Why Are Some Trainers Using Blood Flow Restriction During Workouts? Should You Believe Ongoing Claims to Use Coconut Oil for Weight Loss? *Statements made on this website have not been evaluated by the Food and Drug Administration, nor are any of the products intended to diagnose, treat, cure, or prevent any disease. As products may change over time, please check the actual labels prior to use to ensure you are getting the most accurate and up-to-date formula information. Please consult with your physician prior to taking any product to be sure there are no interactions with any medications or conditions you may have.